British Worx OC is an independent MINI service center that is owned and operated by MINI enthusiasts. 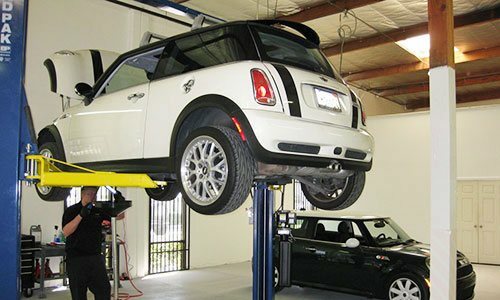 By consistently providing expert MINI repair and maintenance services at very competitive rates, our shop in Laguna Hills draws MINI owners from across Orange County, including Laguna Hills, Laguna Beach, Laguna Niguel, Huntington Beach, Irvine, Costa Mesa, Newport Beach, Dana Point, San Juan Capistrano, and San Clemente. Our customers know that they can rely on us for high-quality work and honest recommendations at prices that can be as much as half those of major dealers. As a result, we've become the trusted dealer alternative for MINI service in Orange County for thousands of customers and maintain a five-star rating on Yelp. We're MINI Cooper Experts, and We Love What We Do. At British Worx OC, we work on all MINI models, 2002 and newer, which includes the Cooper, Cooper S, Clubman, Clubman S, Countryman, Countryman S, Coupe, Convertible, Paceman, and Roadster. We provide everything from routine maintenance services, such as oil changes, brake flushes, coolant flushes, and air intake and cabin filter replacement, to major repairs involving the engine, transmission, clutch, brakes, or suspension. We also offer on-site windshield replacement and paintless dent removal services. Fully Trained. Highly Experienced. Reputable. Honest. All of our services are performed by highly skilled and knowledgeable automotive mechanics. 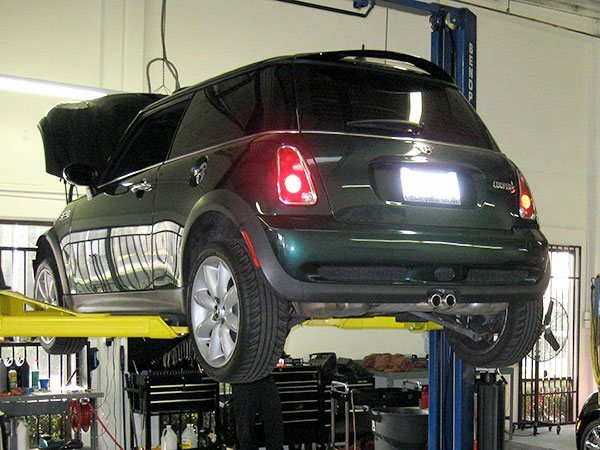 Our mechanics are fully trained and have years of experience working exclusively on MINI. We use the latest computerized diagnostic equipment, quality parts, and manufacturer-recommended methods for repair and service. As a result, no matter your service needs, you can be confident that your MINI is receiving top-of-the-line service for reliable and long-lasting results. Call us today to learn more or to make an appointment. We offer free check engine light checks and initial diagnostics. As part of our commitment to our customers, we will only ever recommend service that you truly need and do our best to minimize the expense. We can also help prioritize services if there are any budget concerns. We're open Monday through Friday, from 7:30am to 5:30pm, and can usually accommodate after-hours drop-offs and pick-ups. We accept cash, check, and all credit cards. Since 2010, British Worx OC has offered Orange County's best value in MINI service and repairs. 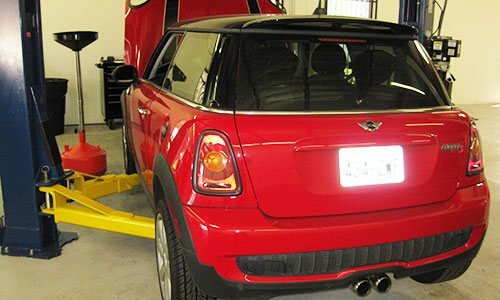 We use the latest MINI diagnostic tools, and all MINI repairs are performed by fully trained technicians with years of experience working exclusively on MINIs . . .
British Worx OC provides comprehensive, MINI service and maintenance at very competitive prices. 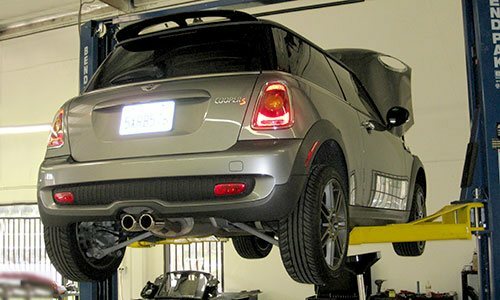 All of our MINI maintenance services are provided by fully trained technicians who have years of experience working exclusively on MINI Coopers . . .
British Worx OC provides high-quality paintless dent repair and windshield replacement services at very reasonable prices. Our dent and windshield repairs are performed on site by experienced professionals with a reputation for being the best in Orange County . . .
Just purchased a 2009 mini and wanted to have the suspension inspected as the vehicle had significant "performance" upgrades applied by the previous owner and wanted assurance that all was sound and suggestions to improve the ride comfort a bit. John came highly recommended and I understand why. He is both personable and knowledgeable, and his formula 1 racing experience more than qualifies him to offer a very unique perspective about performance requirements. I was invited back to the shop and thoroughly shown what was causing the issue and what the suggested course of action should be. John's technician Ryan, was also great and offered several suggestions of his own for some follow up work for additional improvements. I can't speak more highly of this place and am so glad that I have in one visit, developed a relationship with an honest and passionate team of specialists. I will only bring my JCW to these guys going forward.